 We are excited to announce that the conference planning committee led by Tracy Swanson, AuD, has begun releasing preliminary details of the 2018 NC Audiology Association Conference. The conference will be held this year in The City of Oaks on October 4th and 5th, 2018, at the beautiful Raleigh Convention Center. Speakers are being chosen to fill both a general track on the first day and the attendee’s choice of two tracks on the second day, both a pediatric-focused and an adult-focused track. The committee is working diligently to ensure that, regardless of work environment, all audiologists find the speakers’ topics to be informative and relevant to their profession. As our Inaugural Conference Keynote Speaker, Ian Windmill, PhD, will join us from Cincinnati Children’s Hospital Medical Center where he is the Clinical Director of Audiology. Dr. Windmill is President-Elect of the American Academy of Audiology and has a strong interest in the evolution of audiology. He will be discussing a look back and a look forward in our profession, which is particularly relevant in considering the direction our members envision for the new state audiology association. We are so pleased that he will be joining us for this conference! Stay tuned for more updates on conference details and speakers!